Monte (Robert Pattinson) and his baby daughter are the last survivors of a damned and dangerous mission to the outer reaches of the solar system.The crew of death-row inmates led by a doctor (Juliette Binoche) has vanished. As the mystery of what happened onboard the ship is unraveled, father and daughter must rely on each other to survive as they hurtle toward the oblivion of a black hole. 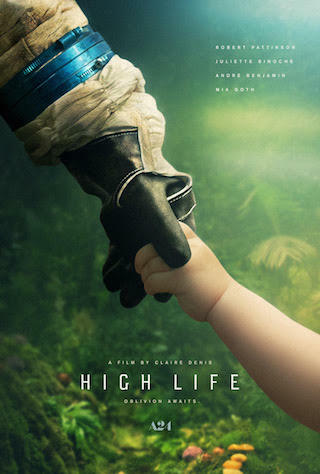 A staggering and primal film about love and intimacy, suffused with anguished memories of a lost Earth, High Life is a haunting, thrilling achievement from visionary director Claire Denis.